The privacy and security of your personal information is important to us. This notice will inform you about our policies and procedures concerning the personal information you provide that we collect, maintain, and disclose in connection with the insurance policies you obtain from us. 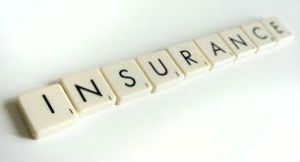 In order to offer the highest quality insurance products at the lowest possible rates, we collect, maintain, and, in some instances, disclose “non-public personal information.” Non-public personal information may include your name, address, social security number, wage information, driving record, policy coverages, medical information or credit history. This information may also include transaction information such as your premium payment or claims history with us. SafeLine understands the importance of your personal privacy and is committed to protecting it while meeting your insurance needs. Because we respect your privacy, we do not sell, trade, or otherwise disclose your identity or any other personal information about you to third parties for marketing purposes. This includes data we obtain concerning all applicants, customers, and former customers. We only disclose information about our applicants, customers, and former customers as permitted or required by law in conjunction with our normal insurance operations. 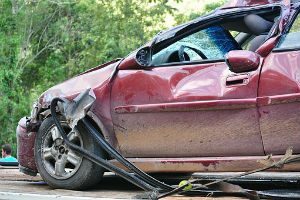 We may disclose information to others such as our claims adjusters and our attorneys in the processing of an insurance claim. Also, we may be required by a court of law to provide information in connection with a legal proceeding. While your non-public personal information is under our control, access is limited to those employees who have a legitimate business need for such information with respect to your insurance coverages. 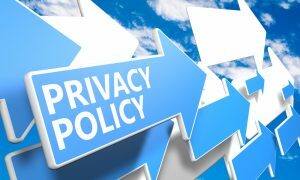 In accordance with applicable state and federal regulations, we maintain physical, procedural and electronic safeguards to protect the privacy and confidentiality of your nonpublic personal information. We may ask you when we need information that personally identifies you (personal information) or allows us to contact you to provide a service or carry out a transaction that you have requested such as receiving information about our products and services, entering a contest, ordering e-mail newsletters, signing up for an event or training, or when purchasing a product or service. The personal information we collect may include your name, title, company or organization name, work e-mail, work phone, work or home address, information about your job function, information about your company, and credit card information. The www.safelineinsurance.com may collect certain information about your visit, such as the name of the Internet service provider and the Internet Protocol (IP) address through which you access the Internet; the date and time you access the www.safelineinsurance.com; the pages that you access while at the www.safelineinsurance.com and the internet address of the website from which you linked directly to our site. This information is used to help improve the www.safelineinsurance.com, analyze trends, and administer the www.safelineinsurance.com. Except as otherwise described in this statement, personal information you provide on the www.safelineinsurance.com will not be shared outside of www.safelineinsurance.com or its affiliates without your permission. Please be aware that this privacy statement and any choices you make on the www.safelineinsurance.com will not necessarily apply to personal information you may have provided to www.safelineinsurance.com in the context of other agreements or contracts. Www.safelineinsurance.com may send out periodic e-mails informing you of a service or issue related to a product or service you requested, or confirming you requested a product or service. In some services offered by www.safelineinsurance.com, contact with the customer is an intrinsic part of the service. You will not be able to choose to unsubscribe to these mailings, as they are considered an essential part of the service(s) you have chosen. Www.safelineinsurance.com is committed to protecting the security of your personal information. We use a variety of security technologies and procedures to help protect your personal information from unauthorized access, use, or disclosure. One of the primary purposes of cookies is to provide a convenience feature to save you time. For example, if you personalize YOUR forums screen, a cookie helps the site to recall your specific information on subsequent visits. This simplifies the process of delivering relevant content, eases site navigation, and so on. When you return to the website, the information you previously provided can be retrieved, so you can easily use the site’s features you customized. www.safelineinsurance.com may occasionally update this privacy statement. We encourage you to periodically review this privacy statement to stay informed about how we are helping to protect the personal information we collect. Your continued use of the service constitutes your agreement to this privacy statement and any updates. Www.safelineinsurance.com welcomes your comments regarding this privacy statement. If you believe that we have not adhered to this privacy statement, please contact us electronically or via postal mail at the address provided below.